Hi everyone, so I have really been getting in to the autumn vibe lately and I've been loving all the different seasonal decorations that people have been having around their house. But despite my best efforts I haven't found any in my local shops, so I decided to make my own! 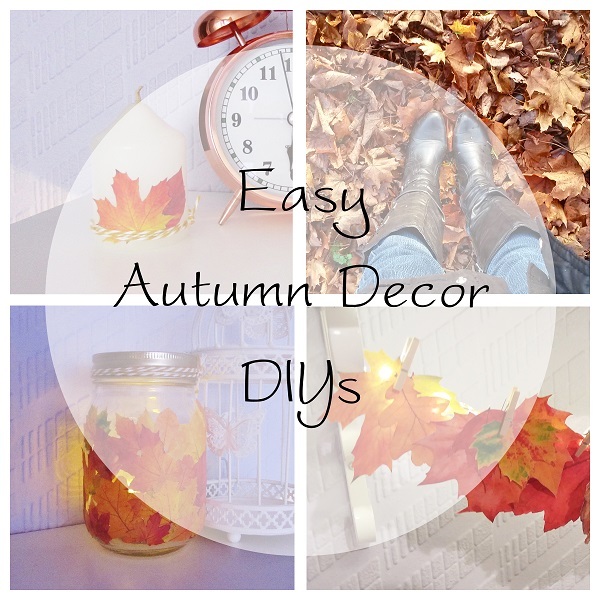 The first thing I did was take to Pinterest for some Autumn craft inspiration and there were so many lovely ideas, but I thought the ones featuring real leaves were the prettiest. I wasn't able to get hold of any real ones and I didn't like the idea of the gorgeous colours fading and going brown after only a few days. So I printed my own! The first item I wanted to make was a little decorated candle, this was probably the easiest of all. After several hours (or more) of cutting out all the leaves, I just picked out a couple that seemed to look the best, stuck them on and added a length of string around the candle, done! For the second decoration, I wanted to make a lantern. I had a nice jar left over from my fairy light lantern that I made last Christmas, so I carefully stuck a few dozen leaves that I'd printed on slightly thinner paper, over the main body of the jar, then added the fairy lights inside. Voila. 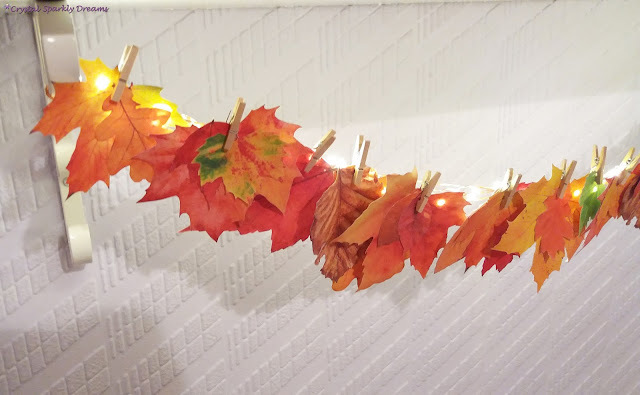 Lastly, I had the idea of making a lovely leafy garland to hang under my bedroom shelf. Using the largest leaves, I simply pegged them to some micro fairy lights. Adding smaller leaves in front of the larger ones to add depth. 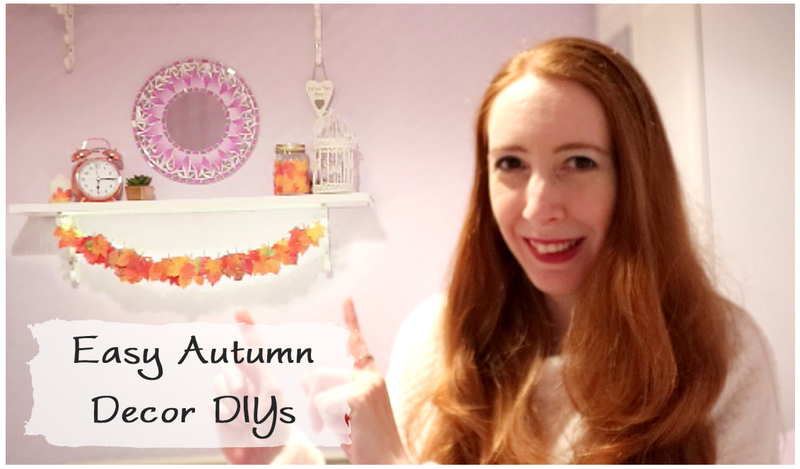 I then was able to just hang the garland on my shelf brackets and that was it finished. If you do make them, don't forget to tag me in the pics as I'd love to see your creations.